This issue features a special section on a 2011 Pulitzer Arts Foundation workshop in which twelve graduate students and four professors of Asian art history commented on the context of objects in the foundation’s exhibition Reflections of the Buddha. Other essays explore Asian traditions of painting, such as Chinese imperial portraits, Huai’ian tomb paintings, and ema, or votive paintings on the Kabuki stage at the Narita-san temple. Contributors include Stanley K. Abe, Catherine Becker, Phillip Bloom, Katherine Brooks, James Cahill, Marsha Haufler, Jiyeon Kim, Kristina Kleutghen, John M. Rosenfield, Marsha Rosenfield, Jerome Silbergeld, and Hilary K. Snow. 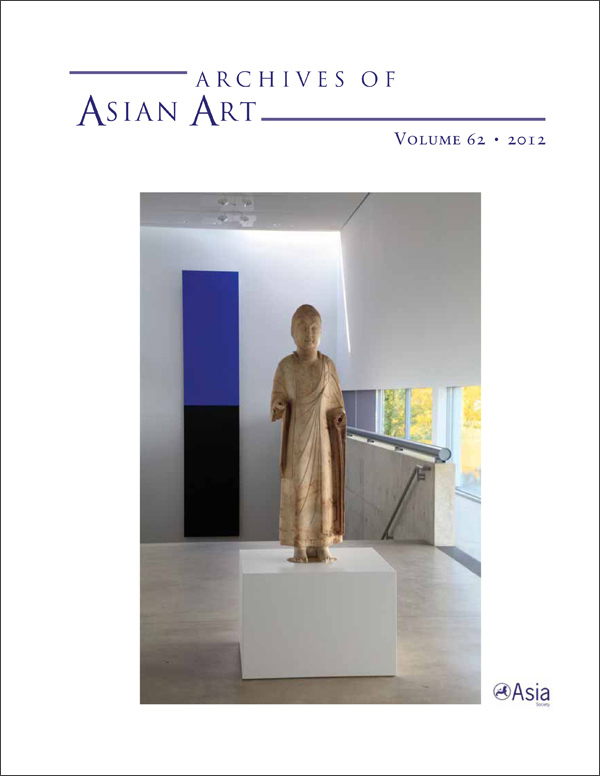 View the table of contents for Archives of Asian Art 62:1, at the journal's online site.